You may hit upon a fatal problem if you are doing your re-chartering for your Scout organization (Boy Scouts or Cub Scouts) this year. 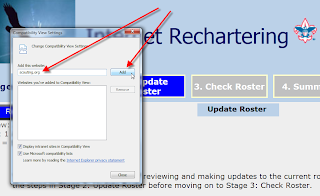 The website is only compatible with Internet Explorer (IE) 7, 8, or 9. 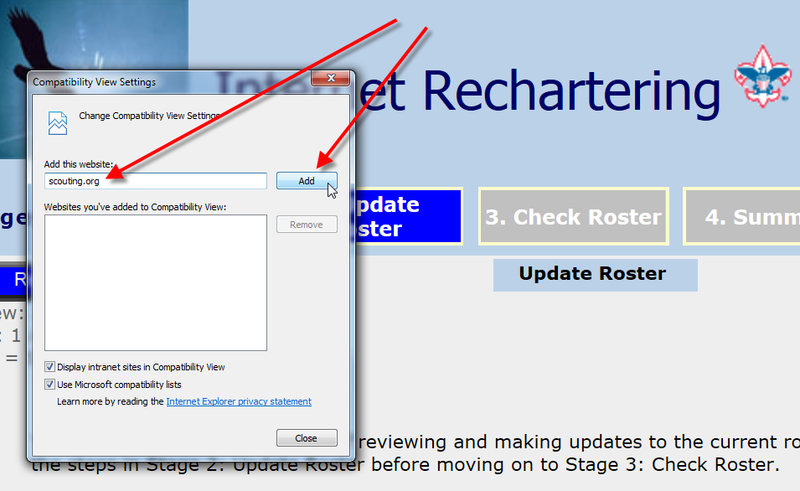 But most people have been automatically updated to version 10 (thanks Microsoft!). Everything works fine for entering new members. The issue is that when you go to update any existing information (such as Adult Leader), the "Next" button on the update screen cannot be clicked. There are two different ways to update records, from two different screens, but they both fail to execute the "Next" button. After doing this, I was finally able to click the "Next" button. These scouting advancement sites are terrible. Even worse than the item above is the Internet Advancement site where you have to "Submit To Council", print out a 4 page document, and fill out a survey every time you want to go to the shop and get 1 Bobcat Badge. 4 pages of paper for 1 Bobcat badge! 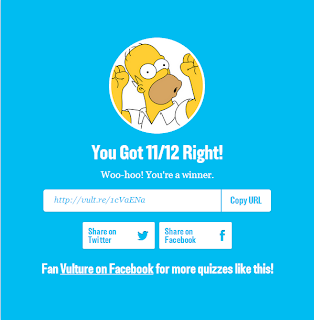 This was a fun Simpsons Quiz. 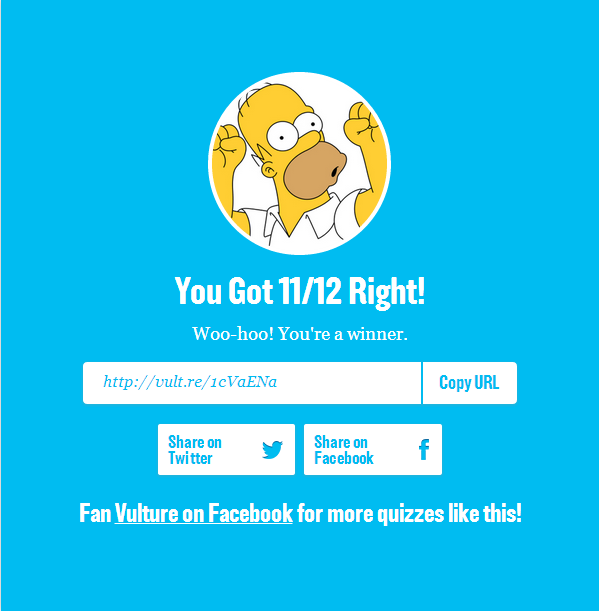 I got 11 out of 12.